And here we are again–seeing another year out the door and welcoming in a new one. 2016 wasn’t the best year for many of us. It seemed like death swept through the world like the rapture. Not only did we all lose Prince, my favorite musician of all time, but there were countless celebrities who took their last breath this year. And on top of that, I had three personal losses–Michael Feeney, Daisy Lewellyn and Jonathan Hailey. Each of these people were journalists who all had something special to contribute to the world. Their lights shined bright and were dimmed early. Death hurts, but I have been blessed to live on and I am grateful for this life. And despite the sadness that cast a cloud over this year, I am grateful for this year. Here’s 16 awesome things that happened to me this year that helped shape me. Let’s start here. My job at The Root grants me the ability to interview some of my favorite people in the world. Angela Bassett has been someone I’ve watched and loved my entire life. And when I was asked (via email) if I wanted to interview her for the film, London Has Fallen, the yes must have blurted out of my fingertips. I had no idea that a piece of the interview would go viral! Peep the way Angela (yeah, we’re on a first-name basis…no we’re not) bodied this monologue! I was asked to attend Essence Music Festival as a part of the Essence team–so first of all–WHAT?! While I had job at HelloBeautiful, I was the Essence Fest girl. I was worried when I left that I would no longer be able to attend and call it work. (The festival isn’t cheap!) But when the editorial powers that be at Essence reached out (shoutout to my former boss, Mary Pryor), I was beyond ecstatic. I was assigned to cover Iyanla Vanzant’s keynote speech, which morphed into the greatest understudy moment of all time. Unfortunately, Iyanla had gotten sick and needed to call a friend to fill in. She called OPRAH y’all. Oprah was now giving the keynote I was assigned to! Check out the story to see the drama getting in. I furiously wrote the story as I sat there listening to Oprah’s brilliance. I filed it. 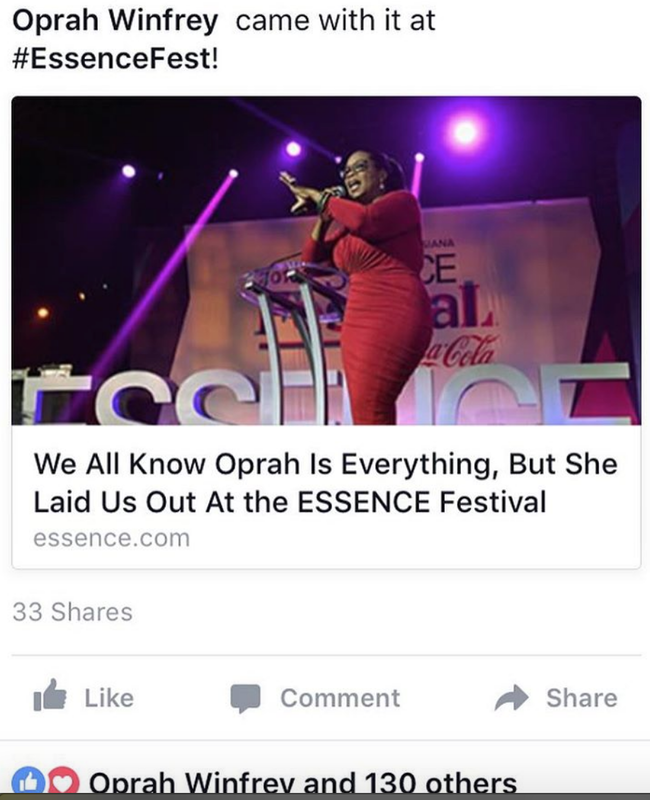 It was published and then my editor emailed me a screenshot of the post on Facebook, showing Oprah’s “like.” OMG what?! Also at Essence Fest, I got to meet up with the illustrious Ava DuVernay and interview her around her amazing show on OWN, Queen Sugar. During the sit-down, I popped her Snapchat cherry, asked her some endearing questions and was left with two beautiful pieces of writing. You know how I know? Ava DM’ed me on Twitter to tell me! I made Ava smile, she remembered meeting me before (the first time I met Oprah) and she called my writing warm! OMG, Ava’s totally gonna tap me to write her next movie. Claiming it! When I started at The Root in 2015, I had no idea that my job would progress in the way that it has. This year, I’ve produced at least one Facebook Live a week and have fully committed to giving voice to black people from many walks of life. It’s an amazing experience. We’ve talked about mental health, self-care, Broadway, Breast Cancer, life coaching and so much more. 2017 is only going to go higher and take those amazing convos farther. Travel has been my M.O. in 2016. My girlfriend, Jackie and I wanted to get away from Brooklyn over Labor Day weekend because that’s when things get extra crazy in our Brooklyn neighborhood. Early on Thursday morning (before the weekend), Jackie and I chatted over wanting to leave and after trying to entertain driveable locations, one of us found a cheap ticket to Chicago and decided to book it. The flight was leaving later that day and we needed to find a hotel. We ended up finding one with about two hours to spare. I ran to the nail salon to get my nails done and literally ran home to pack for the weekend and when I zipped my bag, Jackie and the Uber were downstairs. I’ve never booked a ticket and left the same day. 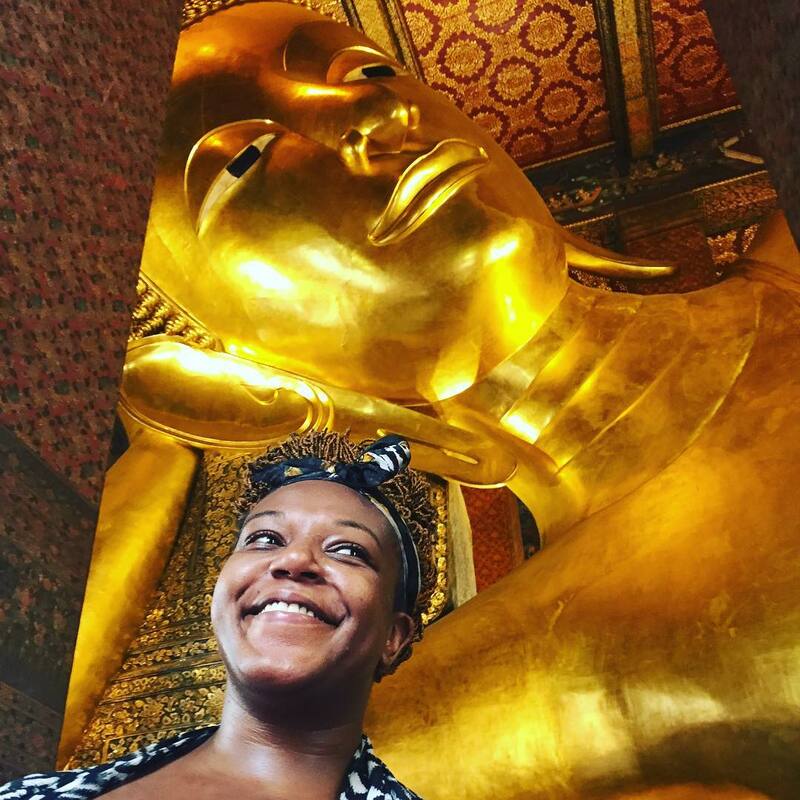 The travel bug bit me hard and now I feel like I can go anywhere I want! I got invited to attend the Toronto International Film Festival and honestly, truly, it was the most epic work trip of my life! Not only did I get to interview the cast of The Birth of a Nation (yes, even Nate Parker), but I was also able to interview the cast of Loving, have brunch with the cast of Hidden Figures, met Busta in the club and went to a diner with him afterwards and basically soaked up all Toronto had to offer. Let’s just say, I’m down to go back to Toronto at any given moment. 7. 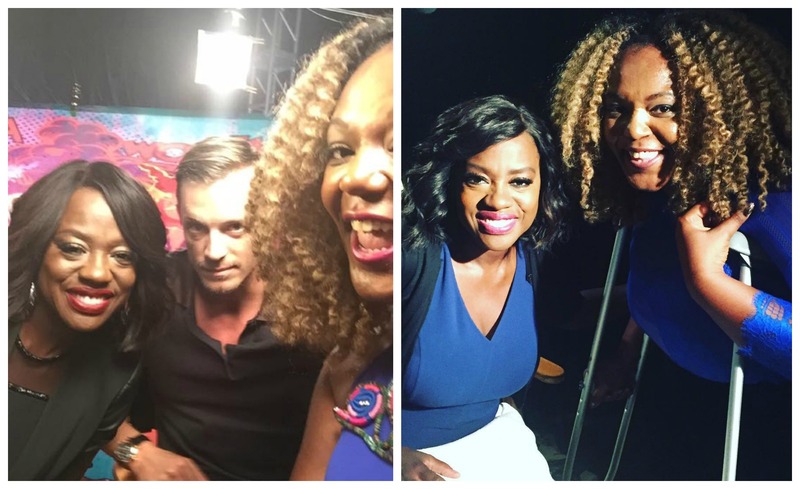 I Interviewed Viola Davis…Twice! Viola Davis, likely the most regal Black woman I’ve ever met in my life is everything! I got a chance to interview her twice in 2016. The first time was for Suicide Squad, where she played a bad@$$. The second time, was for Fences, where she played a soft 1950’s housewife with a temper that had her out-Denzeling Denzel. Each time was different, but the same. In each, I was nervous, our of breath and almost fumbling, but at least in the 2nd time, I came off self-assured. The interviews taught me a powerful lesson: I can conquer my nerves and deliver. We’ve already talked about the whole travel thing. The travel bug continued to bite and magically, I found a not-so-expensive ticket to Belize and booked it. My girlfriend Ty Alexander of GorgeousinGrey.com hit me up and told me she bought the ticket too. Yay! Now it was a party! Belize was stunning. It was tough because it’s a very poor place and I felt like I should have been on a mission trip instead of luxuriating in their beautiful resorts, but I am glad I was able to see Belize. Then, another girlfriend, Vanessa hit me up, saying she wanted to go to Mexico. So instead of flying back to New York from Belize, I bought a ticket to Mexico, flew on a small plane an spent the rest of my birthday weekend in Mexico! 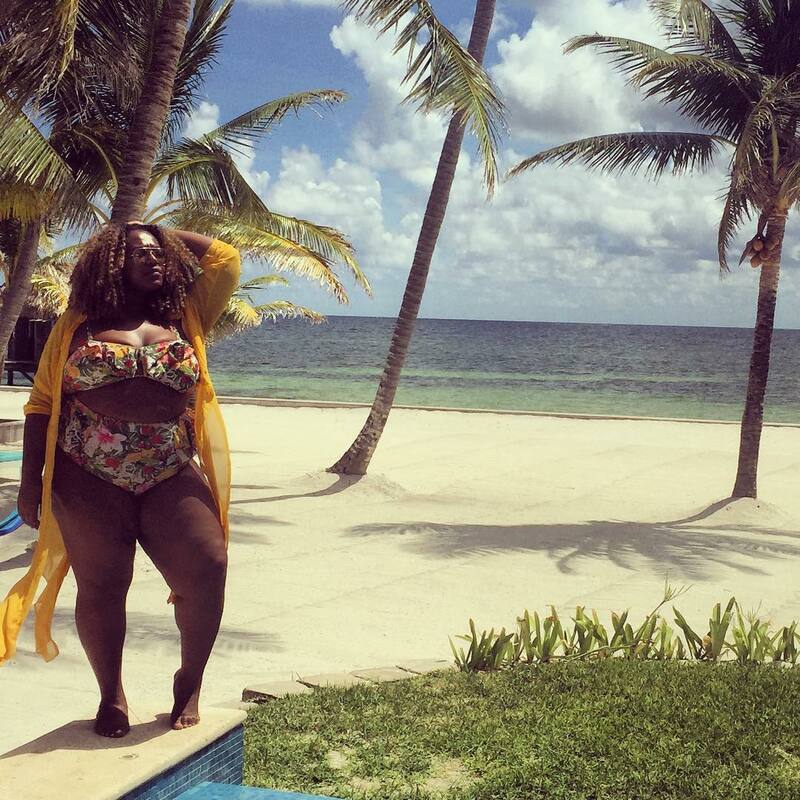 I would have preferred a tastier resort (the food sucked–the food sucked in Belize too) andddd my girl Vanessa broke my big toenail, but I had a blast turning 32. I can only imagine what I’ll be up to for 33. I’m thinking Paris! Sky’s the limit! Listen, there’s something so special about Idris Elba. He’s got the sauce. I was asked to interview him for Star Wars Beyond and I had absolutely no interest in the movie at all (and ended up enjoying it), but I said yes because the interview was with him! Sign me all the way up! Y’all, he was soooo Idris Elba. Let me just say, as the Snap Queen I was this year, I was snapping the entire time, leading up, during and after. See? Before the interview, they had the folks on deck in the hallway outside of the room he was in. After an interview, he came out to use the bathroom. I froze. I decided to set up my Snapchat to catch him on the way back in and that’s when he photobombed me! WHAT! It’s a moment that will live in infamy forever. And yes, he flirted with me before the interview and I didn’t know what to do! “Looking good every last inch,” he said. Jesus Lordt! At this point, you can totally see that interviews have shaped my 2016 greatly. This interview with Tyler Perry was only about three minutes, but the lesson here is that I can talk to anyone about anything, no matter how bad the movie you’re supposed to be talking about was. Yeah, that was shade. My best friend, Chad works in public relations and represents Alicia Keys’ Black Ball. This year, I got an invite, finally! I’ve heard about this epic celebration and fundraising event for people in Africa and abroad living with HIV. At first, I was just working the red carpet, which is still an honor. But then, I got an invite to come inside! The night was epic. Chance the Rapper perform and if you know me, you know I am obsessed with that young rapper. I acted a whole fool watching him perform and he saw me, pointed me out and said, “I love you!” That made my entire life! My job is Social Content Producer, which basically means I create content for social media. I play with hashtags all day, everyday. And after the VMA’s, I asked my editor if I could write about Chance the Rapper and she obliged me. I decided to go with the hashtag #BlackBoyJoy to describe chance and he loved it because he tweeted the article. And then he started tweeting photos of himself with the hashtag and of course it caught on! However, everyone gave him credit for the hashtag, but we all know the truth. I’m just glad he knows I exist. Travel, travel, travel! I was invited to Saint Lucia by the Board of Tourism for Bleu Magazine. When I tell you yes, yes and more yes…good Lordt! Saint Lucia is for sure the best looking place I’ve ever been in my life. From the Pitons, to the crystal clear water, the amazing food, everything was perfect. On Friday nights, there’s a street party where the locals and tourists let loose in the sultry streets, dancing, drinking, smoking and grinding. It was a beautiful thing. I wanna go back. Anyone down? Another interview? Yes! 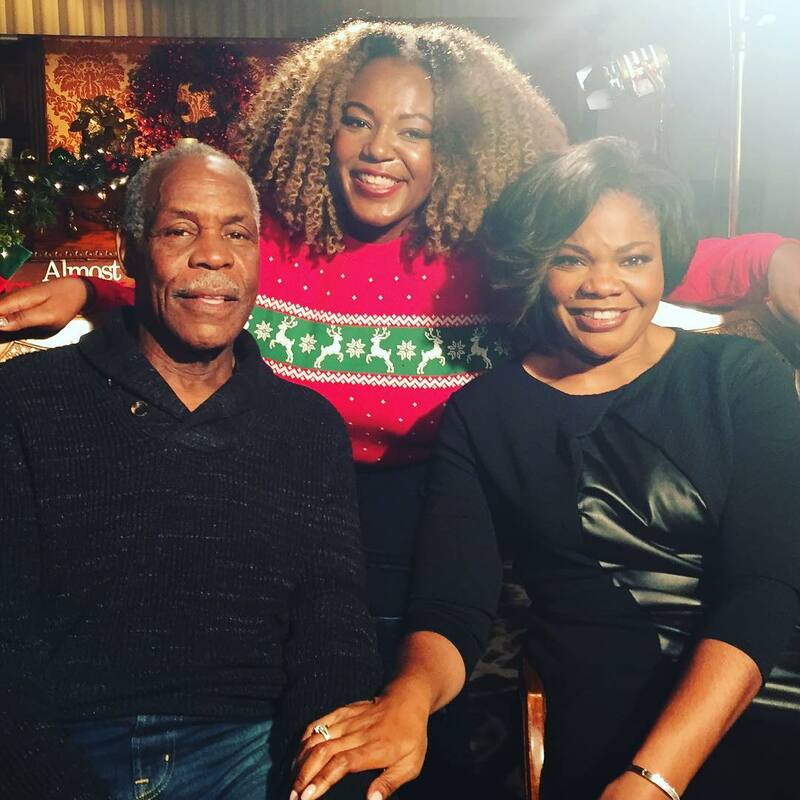 This time, it’s the legendary Danny Glover (and bonus…Mo’Nique) for Almost Christmas. It took everything in me not to say any Color Purple lines to him. Because these two were paired, there was nothing but laughs. I had them singing Christmas Carols and sharing family secrets! Frequent flier miles on FLEEK! This was the farthest I’ve ever been from home and I couldn’t even believe I went! 16 hours to Hong Kong and 4 more to Bangkok, then Chiang Mai, Krabi, Phuket and back to Bangkok. I had so much fun traversing through those Asian streets. I wanted to conquer my fear and tried kayaking, but I had a panic attack and had to get out of the boat. However, I was adventurous with food, played with elephants, got way too close to monkeys, found Mary Jane in Krabi and was pretty much the biggest thing Thailand has ever seen. No, really. Everyone kept reminding me of my size. I get it. I’m not rushing to go back to Thailand, but the trip proved that I can trave long distances. Last but not least, my final in-person interview of the year was with Denzel Washington for Fences. When I tell you Denzel lived up to every expectation I tried not to have of him, I mean it. He was endearing, funny and thoughtful. I broke my foot the day before the interview, showed up anyway and Denzel appreciated my tenacity and told me to tell people I broke my foot because of him. So I made up a story about us going skiing and me trusting him to take me to the big slopes. He was like, “Keep going!” We built a quick rapport and then slid into the interview. My first question to him was, “What’s the difference between manhood and fatherhood,” to which he responded, “Ok girl!” Denzel is known to take journalists to task over their questions that aren’t well-researched or asked. The fact that he was visually impacted by mine proved that preparation before an interview is imperative. I usually go into interviews pretty unprepared and rely on my personality to win celebrities over. But for him, I listened to interviews, read interviews and wrote questions during the movie and a Q&A session for Fences that I attended. It was well worth it. What a year 2016 has been for me! What are some of your accomplishments this year?